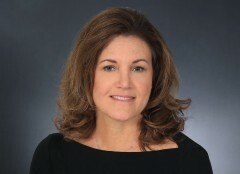 In her role as Senior Director, Karen leads Advanced Purchasing Dynamics’ Placement organization. This involves connecting leading manufacturing companies with the best and most appropriate Purchasing and Supply Chain talent in the market place. In addition, Karen works with the APD consulting division to provide Purchasing expertise on a variety of engagements focusing on delivering cost savings through identifying lower cost sourcing solutions and implementing procurement best practices. Karen has over 30 years of experience in the procurement field with a record of success as a global sourcing strategist and tactician delivering consistent results on direct and indirect purchases. She held a number of Purchasing management positions during her career at Ford Motor Company serving in progressively expanding roles with increasing levels of responsibility. She’s held two overseas assignments (Japan and Thailand) including leading a global team to procure the interior of all Ford vehicles built in Asia. Her last position at Ford entailed managing over $2.5B implementing the strategy and procurement of the advertising, auto shows and marketing programs for both Ford and Lincoln. Her drive and experience in standardizing best practices as well as optimizing the cost and value of purchased materials, products and services gives her the background to fully understand customers placement and consulting needs in the areas of procurement and supply chain. Karen earned both an MBA degree with a concentration in International Business and a Bachelor’s degree in Business Administration from Bowling Green State University. Mike Wynn is a Senior Director for the Purchasing Authority, where he leads client engagements for sustained improvement of their purchasing practices. 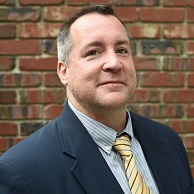 He brings more than 20 years of consulting experience guiding companies through strategic improvement initiatives in areas ranging from manufacturing efficiency to sales operations. Mike works closely with our executive team and technical resources to scope and deploy work plans to meet project goals. Mike has overseen multi-year consulting engagements with a variety of companies, including Baxter, Chrysler, Hewlett Packard, Corning, Libbey, Trane, John Deere, U.S. Postal Service, Gerdau Ameristeel, Toyota, RR Donnelley and Caterpillar. His expertise in professional services management is critical to the success of our consulting, training, and engineering projects. Mike earned an MBA and a BSE degree in Industrial Engineering, both from the University of Michigan. Bob leads the Purchasing Authority’s cost engineering group with an extensive background in purchasing in the manufacturing sector. For more than 18 years, he has developed, led and implemented procurement/sourcing strategies across direct and indirect commodity segments including: polymers and resins, stampings, seating components, capital and tooling, MRO, purchased services and travel. Bob lends his expertise to implementing the major cost models used by the Purchasing Authority: true cost modeling, knowledge-based market testing, benchmark and teardown analysis and attribute modeling. Using true cost modeling, APD’s cost engineers walk the plant floor to map labor, overhead, and material costs. Buyers can then use ProcureForce to easily compare supplier quotes to should-be cost models. Working with the cost engineers, Bob uses knowledge-based market testing to develop quotation frameworks to obtain critical information about manufacturing processes and costs. ProcureForce completes the analysis and optimizes the quotations to develop knowledge-based cost models. In his most recent position prior to joining APD, Bob served as Director of Global Indirect Purchasing for Visteon, a major tier-one automotive supplier. He built and drove robust commodity strategies for a global team of more than 100 purchasing managers and buyers worldwide. Overseeing more than $1.0 billion in annual indirect goods and services purchases, he ensured that sourcing processes and controls were continuously maintained and improved. As Lear Corporation’s Purchasing Director responsible for $17 billion of global automotive interior, seating, and electronic systems, Bob led purchasing strategy development and implementation within the company’s four production commodity groups. Bob holds a Master’s degree in international management from Purdue University and a Bachelor’s degree from Central Michigan University. As CTO, Jason leads the Purchasing Authority’s technology vision. With two decades of diverse experience in software development, Jason is the master behind the APD Cloud and its cloud solution, ProcureForce. Jason is passionate about developer operations and efficient, agile software development lifecycle (SDLC) management. He is a recognized authority on Microsoft .NET and has written several books and many more articles on it in national magazines and for the Microsoft Developer Network (MSDN). He has been working with Microsoft .NET since it was an internal, unreleased alpha product. Before opening the doors at Derecho Software, Jason was a Senior Developer at Software Packaging Associates. During his time there, he created a solution to improve accounting, assembly, shipping and sales business operations in Windows and ASP.NET applications, using primarily C# and SQL. Prior to Software Packaging Associates, Jason managed a diverse team focused on development at Resurgent Capital based in Mason, Ohio. Jason studied mathematics at Wright State University with a concentration in computer science. Jim Dixon heads up the consulting division where he leads a wide variety of initiatives that assess and provide solutions for the procurement operations of the Purchasing Authority’s clients. He has led extended engagements with tier-one automotive suppliers to achieve accelerated and sustainable cost savings. For example, he identified 11.2% MRO cost reductions and service enhancements working with a purchasing services provider to handle a client’s MRO buying requirements. For another client, he developed a strategy and implementation plan to centralize and globalize the client’s indirect materials purchasing function, including benchmarking of industry BIC practices. Jim has effectively utilized his non-production purchasing experience to the benefit of the Purchasing Authority’s clients. For example, he spearheaded a market study and rapid implementation of a third party procurement model at a tier-one automotive supplier, which resulted in more than $2 million of total cost reduction. He has Implemented purchasing strategies for commodities including packaging materials, plastic components and resins, telecommunications, IT software, etc. resulting in client savings of approximately $6 million. As an automotive supply chain executive with extensive experience in the global procurement of production and non-production materials and services, Jim brings 30 years of experience to the Purchasing Authority. His ability to develop and deliver sound procurement strategies enabled him to move from buyer positions to Purchasing Director within Ford Motor Company. As a purchasing executive, he had global responsibility for machinery, tools, information technology and other indirect material spends. Jim holds an MBA degree from the University of Illinois and a Bachelor’s degree from Illinois State University. As a Cost Engineering Director, Adam uses his true cost modeling expertise to assist companies in understanding the cost structure of their material purchases. Clients, guided by his strategies, use this knowledge to control and contain expenses. An effective trainer, Thor teaches buyers to fully comprehend supplier cost structures. He is especially expert in the launch and detailed analysis of part cost modeling, specifically in support of purchasing cost reductions and make/buy analyses. Working with the cost engineering group, he develops data analysis models and quote summaries of RFQ market test data, including cost breakdown and cost driver data. The result is cost savings and greater transparency in the supply chain. Before joining Advanced Purchasing Dynamics, Thor honed his purchasing and cost engineering skills at manufacturing giants Lear Corporation and General Motors. As a cost engineer at Lear, his work focused on providing data-driven cost analysis to support purchasing decisions. Similarly at GM, he served as a Supplier/Cost Development Engineer, regularly auditing supplier cost structures and determining multiple avenues for price reductions. Adam is a graduate of the University of Michigan with a Bachelor’s of Science degree in Industrial and Operations Engineering. He is bilingual in English and Hmong.